Teresa and Mark were the most fun, most hilarious couple ever. 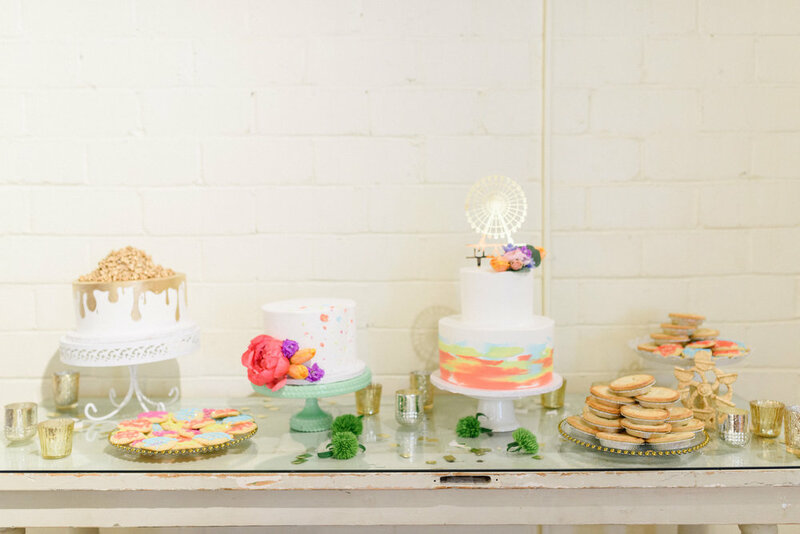 They booked Brik Venue in Fort Worth before it was even finished and were envisioning a vintage themed carnival wedding. I found these fun vintage popcorn boxes to use as centerpieces, and we used a bunch of vintage Coke bottles as bud vases to continue the fun theme. 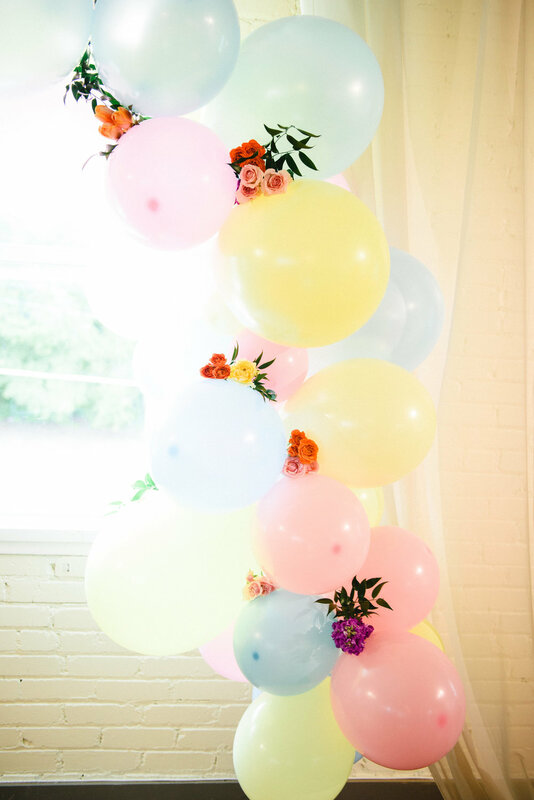 An organic balloon arch and confetti filled balloons kept the whimsical theme throughout. Instead of boutonnières, the boys wore handmade pinwheels down the aisle. The guests ate gourmet hotdogs, French fries and enjoyed mini pies and cookies, along with a late night snack of cotton candy. The belly band on each invitation was made of tickets - bringing their fun theme throughout.